Super Eagles players across Europe are giving reasons for optimism as the countdown to the Russia 2018 World Cup takes full swing. One of such players showing he has what it takes to wear the Green and White colours in Russia is Moses Simon. 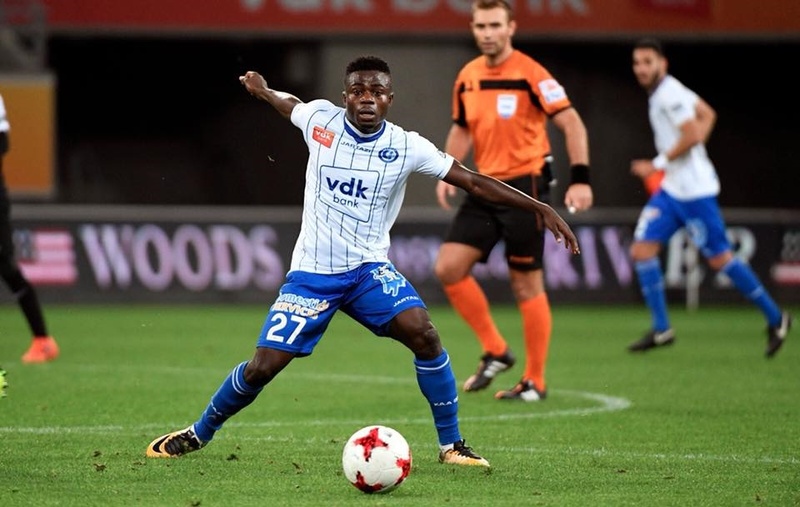 The Super Eagles winger has been named in the Team of the Week in Belgium after his sterling five-star display for KAA Gent against KAS Eupen. The Nigerian star scored a brace from the penalty spot and was equally voted the Man-of-the-Match in the mid-week league game. With his latest effort, Simon Moses has now scored three goals and provided two assists in the last 3 matches. He says he is pleased with his new role which requires less defending.